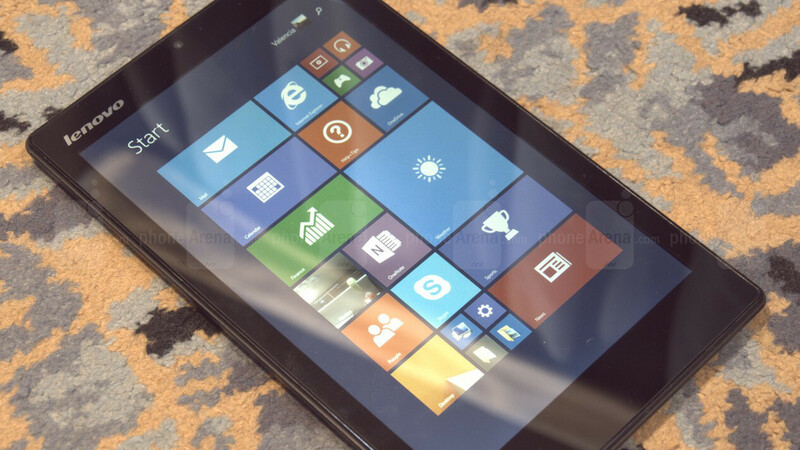 The Lenovo MIIX 300 is a Windows 8.1 tablet that's priced at just $150, which makes it pretty affordable! For your hundred bucks and a half, you get a nice-looking tablet with an aluminum back shell. The slate has an 8-inch display of the IPS LCD kind. There's nothing too fancy here - the 800x1280 resolution is okay, and things look legible, even if everything is going to be a bit tiny and maybe a bit hard to read at times. Above the display, there's a 2MP camera, and on the back, there's a 5MP camera. Both will suffice for basic photography and video chatting. The tablet is powered by an Intel Atom quad-core processor paired with up to 2GB of RAM, which means it should offer pretty decent performance. Meanwhile, battery life is promised to be about 7 hours, which is a decent figure. In addition, the built in-storage can be set at up to 64GB, and expanded further with microSD cards. As mentioned, the operating system is Windows 8.l, which should be pretty familiar to everybody at this point. The tablet will probably get Windows 10 down the road, since it's a new one from Lenovo, so things are looking pretty good for the MIIX 300 - especially if you are on the lookout for an affordable Windows tablet for multimedia consumption, that also happens to be built pretty good. Lenovo will begin selling the MIIX 300 in July, with the base model starting at $149. I'm waiting for Windows 10 to come loaded out the gate before I look at these budget tabs. Why...? Windows 10 is a free upgrade from 8 anyways and 8 is better optimized for touch than 10 is right now. hmm this device is good for surfing the web and watching Netflix or hulu plus in the bed or patio and reading e-books. it's lack of pen support is a disaster because you cannot use one note or draw on it, take notes. this severity limits this product's use for business people and students what a shame > i hope Lenovo has has an 8 inch Windows 8.i / Windows 10 capable tablet that has Pen imput?